Bagan is one of the must – see destinations in Burma where more than 2,000 of red brick Buddhist temples dotted around the massive greenery plain. There are many ways to explore this great man – made construction such as horse cart, car, bus, ballooning, and even bicycle. Hence, the most interesting and unique ways to discover this national archeological zone is via an electronic bike. The information below is all you need to know about e bike riding in the ancient capital Bagan. E bike, also known as electronic bicycle, is a bike with an electric motor running by battery. 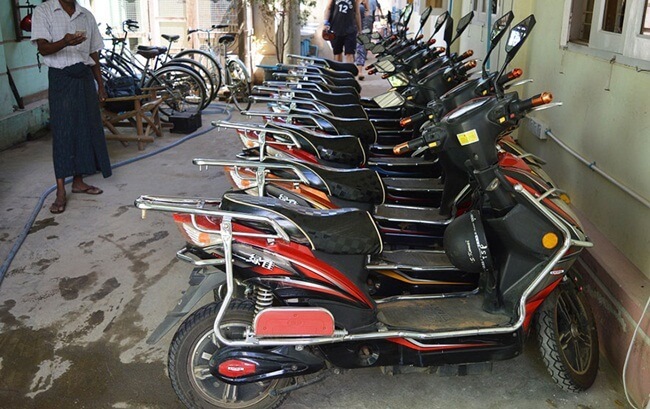 E bikes in Bagan are mostly China – made which look like moped or pedelecs( pedal electric cycle). E bikes have every feature of a scooter like horn, brakes, starter point, light, and the storage under the seat or a basket in the front depending on each type. Basically, operate an e bike is very easy and not different much from starting a scooter. You just have to push a knob on the left handlebar to accelerate the engine, then hop in and enjoy your ride. If you want to stop, put on the brakes in front of the handlebar. Why Choosing e Bike to Discover the Temple Plain? 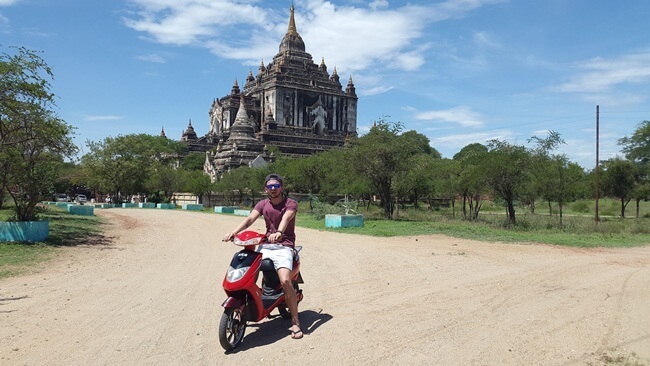 There are numerous means of transport that they use to explore Bagan in which electronic bike is the most recommended options. 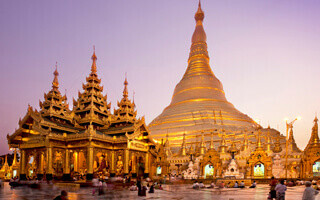 So, why it is so popular among the tourists? First of all, foreigners are not allowed to drive motorbikes or scooters in Myanmar. Secondly, the classical bike with pedal takes a lot of time and effort in the hot weather and dusty roads in Bagan. And you don’t want to spend your day in the bumpy horse cart or a boring trip in bus and car just to see some famous places. Hire an e bike and have your own fascinating experience to other lesser known spots. Furthermore, you can pull over whenever you want, take a picture and admire the landscapes. The speed that an e bike can reach goes up to 40km/h making your way to the destination quicker so you can have more time for other activities. Where to Hire an e Bike? 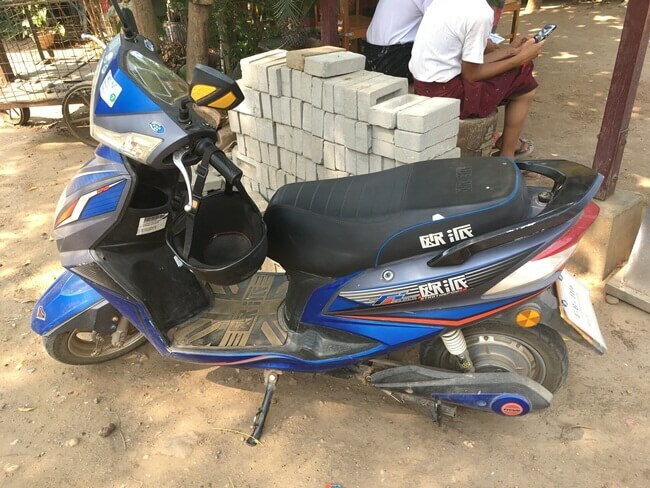 It’s is very easy to hire an e bike in Bagan. Almost every shops and hotels have the e bike rental service. Before choosing an e bike, you should give it a ride to check if the e bike is ready for an adventure. Make sure the battery is full and remember to ask for the information or phone number of the shop for a rescue in case your vehicle has problem during the trip. And if you forgot to do so, the locals are always willing to help in need tourists. 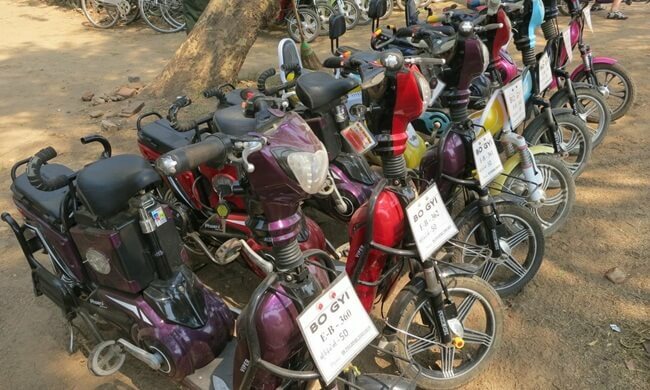 The cost for an e bike rental is about 6000 – 8000 kyat ($4-6US) for a day (9a.m -7p.m). But it can be cheaper if you have a good bargaining skill. However, you can keep the bike overnight for an early departure to catch the amazing sunrise or rent for multiple days, the price can be negotiated as well. What to do in Bagan with an e Bike? Riding e bike in Bagan is definitely more interesting and convenient than other modes of transport. You will never get bored with this activity just by gliding effortlessly through the temple town and watching the ancient capital to unveil its secret. 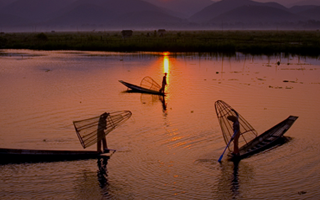 What is more, the sunrise and sunset in Bagan are the can’t miss moments that an e bike will be your helpful partner. • Prepare copious of water as well as sunscreen before departure. • Have a break and rehydrate more often due to the scorching hot weather in the summer. • Be careful when driving around the temples because the roads are deep in sand. • Cover your legs and shoulders when entering the temples. ♦ Isn’t it interesting? 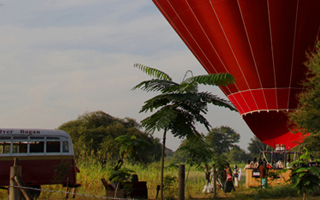 So what are you waiting for, book now our Bagan Electric Bike Tour and enjoy your ride to the secret temples. Do they have E bikes in Bagan with place for me in. Front and my wife sitting in the back of me on the same E bike. We arrive in Bagan on 22 january coming from Mandalay and stay in Bagan thrre days, so 23-24-25 january we want to hire an Ebike. 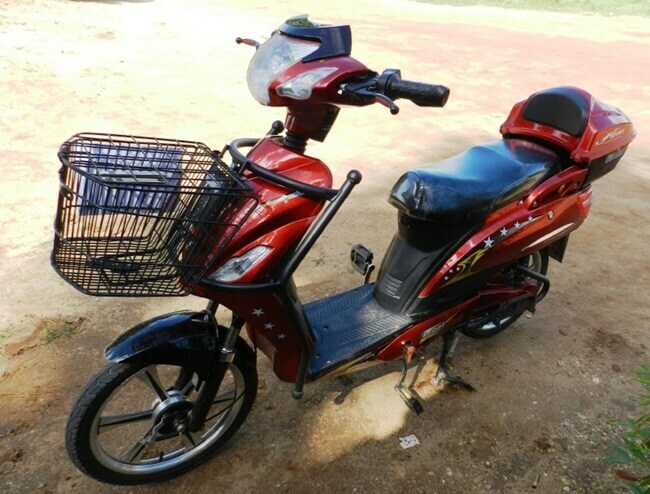 It is easy to hire an E-bike in Bagan for 2 adults. Please ask your hotel about it. Hi, we like the idea of a ebike Scooter) but have heard some ebikes are better than others, and wonder what brand you have? Is an 11 year old able to ride an e bike.? Can my husband have my 7 year old son on bike with him. If your son can ride an e-bike, he could own a bike. But if he has never ever tried it, we recommend your husband take care of him. You no need the motorcycle licenses to use e-bike, so please do not worry about it. Here’s a question that no-one seems to think about. I understand that you can’t insure an e-bike, which seems crazy to me! I have been riding motorcycles and driving cars for more than 50 years and wouldn’t consider doing it without insurance. In any case, every other country I’ve driven/ ridden in, it’s the law. What happens if you have a bad accident which may or may not be your fault,but you do a lot of damage to the bike. That could be very expensive if you have no insurance! What is the situation in this scenario? What is the most someone could pay? Possibly the price of a new e-bike? That is the great questions! Actually, An e-bike accident rarely occurs. Hence you no need to worry about it. Besides, we always recommend the clients to have adequate travel insurance to cover for the loss of luggage, medical expenses, costs and expenses incurred due to cancellations, delays or other disruptions. Normally, an e-bike battery could ride on 40km per charge. Hence, if you hire an e-bike more than 1 day, you could charge at overnight. Please note to ask the shop to provide the charger cord for you.